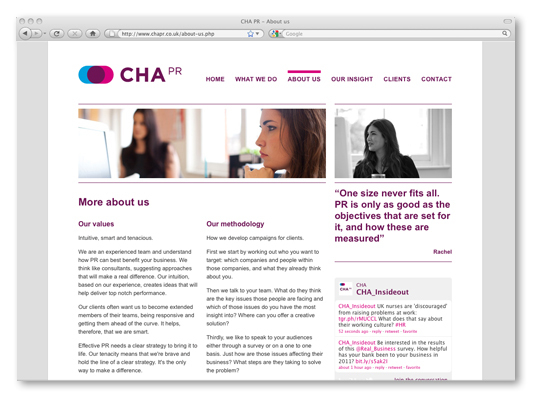 We’re happy to announce the completion and launch of a new website for London-based PR agency CHA PR. After creating a new brand identity for CHA PR, the user-friendly website – complete with reportage style photography of team members and a new brand colour scheme – reflects the company’s current and long-term business and brand values. To view the site visit www.chapr.co.uk or to find out more about our approach to effective web design and development feel free to get in touch. 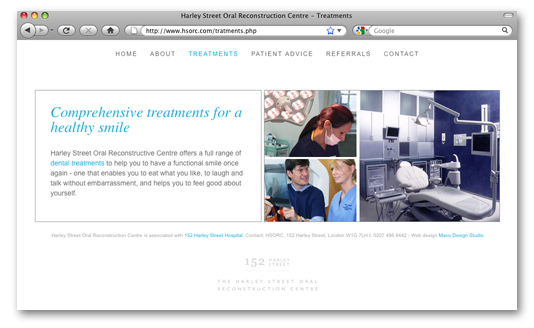 Mavo Studio have designed and developed a new website for HSORC (Harley Street Oral Reconstruction Centre). The clinic which specialises in advanced dental and oral treatments is to continue growing its online presence through a strategic approach to SEO, off line marketing and ongoing updates to the website. We take great pride in helping facilitate the growth of the clinic and the brand over the coming months. For further information about this or any other recent project for the Healthcare sector please visit our portfolio. 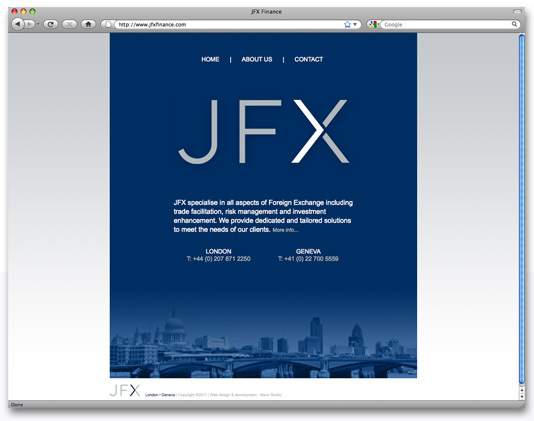 After two months of working closely alongside finance company JFX, we’ve recently finalised their new brand identity and micro-site. Mavo will continue to work with the boutique company, to ensure that their brand and marketing communications are harnessed in an effective way as they continue to grow as a business and brand. According to recent data published by StatCounter, users of internet browser Explorer 6 have dropped below 5% in Europe, North America, Oceania and are declining fast across Asia and Africa. Here at Mavo, we test every website we create to be accessible to the largest possible audience. As Explorer 6 has always been, a ‘debugging nightmare’ for any diligent web developer – because of it’s creative interpretation of web standards - we’re happy to announce that our support for IE6 has at long last come to an end. NB: If on the off-chance you still fall in that small percentage of people still using IE6, do yourself a favour: update to Explorer 8 (or get yourself Firefox, Chrome or Safari). Geek rant over.